I’m gonna cut straight to the chase, this is the Pro Bowl team I would have selected this year. I’ll roll out my NFC team tomorrow. Selecting J.J. Watt in the first round was just the beginning of a defensive overhaul for the Texans. Wade Phillips has to be excited about his new career on the other side of Texas after this draft. The Texans put a strong emphasis on improving a defense that has some strong players but definitely needs improvement. They started off with a great young pair of defensive ends. Watt is definitely going to be more of a containment end meanwhile on the other end, Reed should be spending a lot of time behind the offensive line. Keo and Michael could tighten up an ailing secondary. I love this draft for the Texans, I really thought they would target the WR position at some point in this draft but at the same time, I have a hard time looking at a single pick they made and thinking, “that was the wrong pick for them”. One thing is certain, the Houston Texans defense has been completely transformed in the offseason. First they did an overhaul in the draft and then they went out and brought in some playmakers. While everyone else was trying to land Asomugha, the Texans went out and signed the second best cornerback in free agency in Johnathan Joseph. They strengthened that secondary even further with the addition of Danieal Manning as the safety position. Bringing Jacoby Jones back was necessary and re-signing Matt Leinart was a big win for the Texans because he is one of the best back-ups in the NFL. The biggest loss was, by far, Vonta Leach who is probably the best run-blocking fullback in the league. Foster’s numbers could take a step back without Leach in that backfield. I can hardly remember a season when the Indianapolis Colts did not make the playoffs. The reason is they find value as good as any team in the AFC. Last season, Manning found himself constantly under pressure and Polian made the right move for the Colts in using his first two picks on offensive lineman. 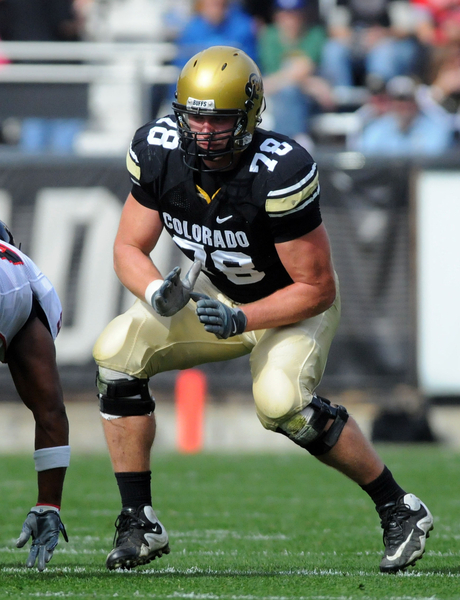 Costanzo is a strong tackle who should fill in on the left side nicely and could be protecting Peyton’s blind side for the rest of Manning’s career. Injalana is a lineman that could be plugged into either a tackle or guard position. Drake Nevis was a good find for this team in the third and Rucker was a nice pick-up in the 6th. The Colts probably did a better job of addressing all of their positional needs than any other team in this year’s draft. The Colts made the biggest signing of the offseason by wrapping up their franchise quarterback. The Colts did not have the free agent flurry that other Super Bowl contenders did but they did do what every team strives to do – keep their core guys. In doing so they made perhaps the biggest signing of the free agency period in re-signing Peyton Manning to ensure that he retires with the Colts. Charlie Johnson was a huge loss for a line that had it’s fair share of struggles last season but the Colts anticipated his departure when they drafted Costanzo. 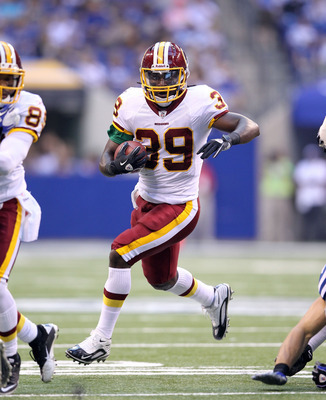 They also re-signed Joseph Addai who is a solid running back that fits well with what the Colts are doing. On the defensive side of the ball, many of these signings make a lot of sense because the Colts have always been more about speed on defense than anything. I would not be surprised to see them use Anderson more like a D-Tackle as opposed to a defensive end. Either way, I see Indy’s pass-rush and rushing defense being drastically improved from last year. The Jaguars grabbed who I believe to be the best QB of the draft class with the 10th overall pick. You’ve already heard me say it about the Vikings, and you’ve heard it about the Panthers and now you’re going to hear it about the Jaguars. 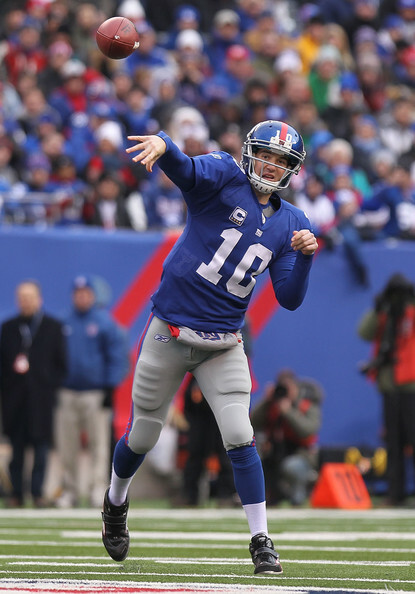 This draft’s grade is largely contingent on one thing – the success of the rookie quarterback the team selected. I personally believe that Blaine Gabbert was the best quarterback of this year’s draft class and I believe he will be a pro-bowler. He reminds me a lot of Ben Roethlisberger. However, I do believe that Blaine Gabbert is rather raw. 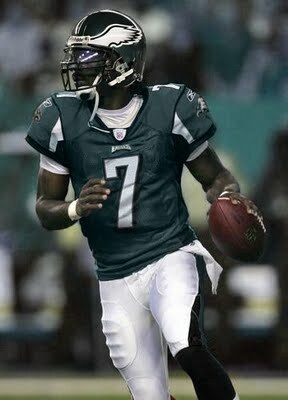 Luckily the Jaguars have their quarterback of the present in David Garrard to play while Gabbert develops. The rest of the draft was rather mediocre. The real need the Jaguars needed to address was defensive end and for many the question will be – was it worth it to give up so much to land Gabbert or should they have stayed put and taken Adrian Claiborne? I believe the risk was worth taking in that they grabbed, who I believe to be, the best QB in the draft at the 10th spot making him the 3rd QB selected in the draft. Last year the Jaguars linebacker corps was awful but with the addition of Paul Posluszny and Clint Session, Jacksonville is all of a sudden fairly strong at this position. Dawan Landry was a great pick-up for this team that was in desperate need of some help over the top. Jason Spitz was also a good pickup for the line. All in all, there were good pick-ups here but nothing great. I feel like Jacksonville lost more than they gained. I really expected Jacksonville to go after a defensive end (Charles Johnson or Ray Edwards anyone? ), another cornerback, and a wide receiver in free agency but alas, they just didn’t pull it off. Jake Locker has been most impressive in the preseason. On draft night, I thought Jake Locker was a reach. I was certain that when Blaine Gabbert fell past San Francisco, he’d be going to the Titans. I thought Locker was a late 1st round pick at best, but so far into this preseason, Locker has been a very impressive rookie quarterback and I may be completely wrong about him. Like the Jaguars, this draft will be graded based on Locker’s progress. However, Titans fans should forgive the reach for Locker because the Titans then got a first round talent in the second round when they took Akeem Ayers. My only complaints about the Titans draft would be that they waited too long before drafting a defensive tackle and the team really needed to address the wide receiver position in the draft. I still think Locker was a reach but now with some time to develop behind Hasselbeck, I believe he could be the QB of the future for Tennessee. Hasselbeck was a strong signing, but does not make sense given the difference between his and Locker's styles. I like Matt Hasselbeck and think he is a very good quarterback but I am baffled by the addition of him in Tennessee. With the exception that both Locker and he have lived in the same state the last four years, the two have nothing in common. I believe Hasselbeck’s skill set is closer to that of Christian Ponder. I do have to commend Tennessee for landing a top free agent QB but I still don’t think he was the right choice here. I like the addition of Daniel Graham as a blocking tight end opposite of Jarrod Page and I think that Barrett Ruud is the perfect signing to help a pretty young defense in Nashville. On the coaching side of things, it is strange to see the Titans without Jeff Fisher on the sidelines but I do believe that Munchak was a perfect fit for the Titans given his history with the team. The only team in this division that I really feel took a significant step forward was the Houston Texans. The Colts stayed about the same as did the Jaguars and Titans. Years from now, this could be the draft that does, however, change the face of the AFC South as the Texans revamped their defense and the Titans and Jaguars believe they got their franchise quarterbacks. This will be an interesting year in the AFC South. Sorry for the delay, without further ado, here are my offseason grades for the AFC East. I think the New England Patriots had a stronger draft than most people give them credit for. The glaring hole that I see in their draft is that they failed to address the wide receiver position and waited until the 3rd round to address their running back need. Nate Solder is a perfect fit for this line as he is a large athletic tackle that can be plugged in immediately. I really like what the Patriots did in the 3rd and 4th round as much as anyone. Stevan Ridley was a highly underrated running back in college who could be a strong addition to the backfield in another year or two. I also think Ryan Mallett can be a starting quarterback in this league and I feel like the Patriots will soon pull a “Cassell” or “Kolb” and be able to turn this 4th round draft pick into more draft picks. The best thing the Patriots did in this draft is set themselves up nicely seeing as they now have 2 first round and 2 second round picks in 2012. It's not unreasonable to think that Chad Ochocinco could hit double digits for receiving touchdowns in 2011. The New England Patriots did not make the big splashes that other teams did but what’s important is they made the necessary one. They were able to re-sign Mankins and Light so with the addition of Solder this is a solid offensive line going into next season. They were able to bring back BenJarvus Green-Ellis who was able to provide a ground attack for the Patriots last season. Most importantly, if Albert Haynesworth can return to Tennessee form the Patriots got him for a ridiculously good value and by pairing him with Vince Wilfork, the Patriots might have the tools necessary to shut down that dangerous running game of the New York Jets. In addition they were able to go and get Shaun Ellis from the Jets to give the Patriots a great defensive line. Chad Ochocinco was another great value trade who I think will have a great year in New England. 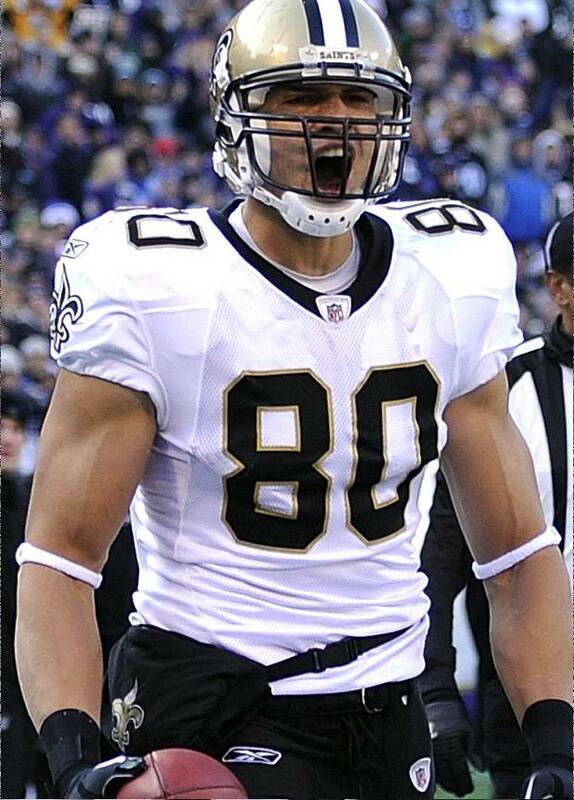 Not a ridiculous year but his presence should also open up the field for Wes Welker and those young tight ends. I project a 9 – 10 touchdown, 1100 yard season for Ochocinco in this offense which makes this an excellent pick-up. Going into the draft, the New York Jets biggest concern had to be their defensive line – getting younger and more athletic at the position. They finally gave up on bust Vernon Gholston and the aging Jason Taylor will not be back. Additionally, they also lost Shaun Ellis to the rival Patriots. I feel like Wilkerson will be giving quarterbacks in the East nightmares for years. He is a tall, athletic, fast defensive end with great strength and instincts. Kenrick Ellis could be a great force upfront for the Jets. I do like the Greg McElroy pick in the 7th round. A lot of times, draft experts talk about intangibles which really means “we don’t know what else to call it but we like it” or someone being a winner. The difference between Super Bowl contenders like the Jets and teams like the Broncos – is the Jets took a quarterback who is a winner, but they grabbed him in the 7th round as opposed to trading up in the first. Overall this was a really good draft for the Jets without a lot of picks. The only downside is I feel like their linebacker corps could also use some help. 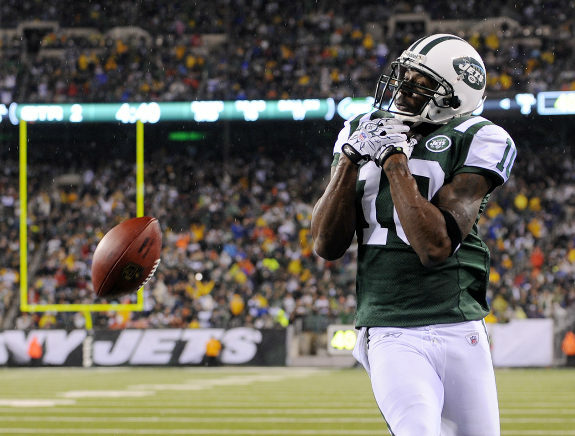 Re-signing Santonio Holmes was a priority for the Jets heading into the 2011 season. The New York Jets did some excellent things in the free agency period. 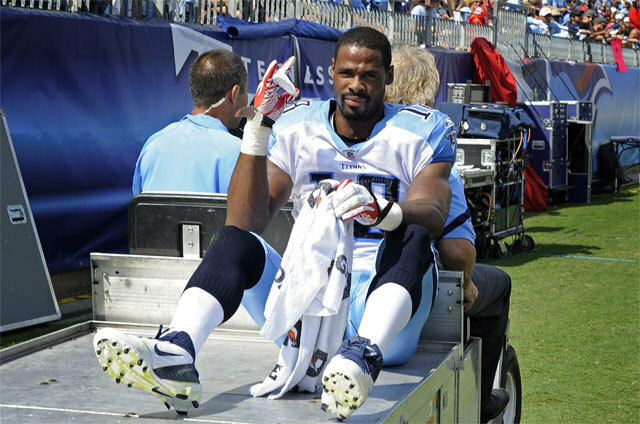 Braylon Edwards was a big loss but with his pending suspension, the Jets felt like Plaxico Burress was a better risk to take. Re-signing Santonio Holmes was a must and then the addition of the ageless wonder Derrick Mason gives the Jets a strong receiving corps. Bringing back Cromartie was necessary once they lost out on the Asomugha sweepstakes and since the kicker market was relatively weak, it was so important for the Jets to re-sign Nick Folk. The big losses for the Jets are Shaun Ellis who left for the rival Patriots but the Jets anticipated this loss in their draft. 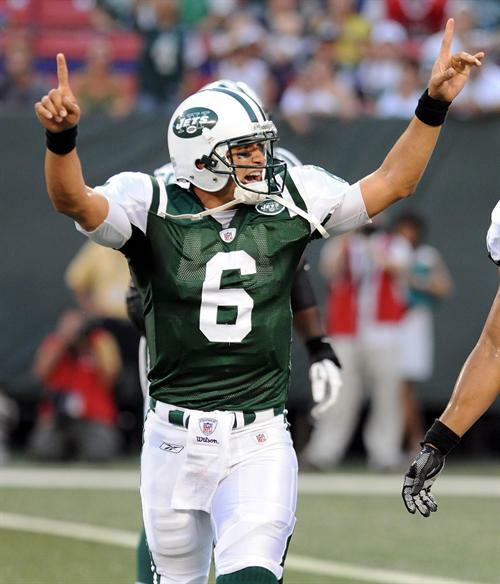 One really big loss for the Jets, that most don’t realize, was do-it-all Brad Smith. His long kick returns, and ability as a wild cat QB was a big part of the Jets success the last two seasons and he will be missed more than most Jets fans realize. Overall, the Jets did a great job in the offseason. Even though he played at Division II Abilene Christian, Gates has the speed, hands, and athleticism to be a successful slot receiver in the NFL. For me, the Miami Dolphins draft was kind of a mixed bag. But overall there were a few things I really liked about the draft for the Dolphins. First off, I love the Mike Pouncey pick for him in the first round. While it has been a slow process, the Dolphins have been doing a good job of building their offensive line. They got their tackle in Jake Long a few years back and now they have the second most position in the line in a strong, athletic center in Pouncey. I really am a fan of Daniel Thomas and think he could be a great addition to that backfield. The fact that the first running back went off the board late in the first round makes almost any running back with starter potential, such as Thomas a good value. The player I love in this draft for the Miami Dolphins is Edmund Gates. Having watched several Abilene Christian games, I can tell you this about Gates – he’s got great awareness, excellent hands, and amazing athleticism. He is a raw talent but when he gets in space, watch out – he was one of the fastest players in this year’s draft. He is going to be compared to the Chicago Bears’ Johnny Knox (also from ACU) but I expect, with some development, that Gates will be better than Knox. Great value pick in the 4th round. I’m intrigued to watch him develop. I have not been big on Reggie Bush these past few years but I think this is a trade that makes sense. He is a pass catching running back and a great athlete and may be the heir apparent to the now departed original Wildcat, Ronnie Brown. He also gives the Dolphins a threat as an excellent punt returner. The addition of Marc Colombo gives the Dolphins a pretty good offensive line and I like the additions they made on defense with Fields and Burnett. Crowder will definitely be missed. Of course the biggest question for the Dolphins in my mind is who is going to play quarterback? I am not going to go as far as to say Chad Henne and Matt Moore are never going to be more than a number 2 but for a team that improved overall in the offseason, they actually took a step back at the quarterback position. It’s a sad state of affairs when losing Tyler Thigpen actually weakens your QB position. There were a number of serviceable starters available via trade and draft and I think the Dolphins should be calling Cincy around the clock to see what it would take to get Carson Palmer there. While I believe he is retired for good, this is one of a small handful of teams that should be calling Favre and it might not hurt them to give Randy Moss a call either. I don’t know if Buffalo really drafted the positions they needed but they drafted a lot of good players. A lot of good teams have been built on the basis of B.P.A. (Best Player Available) and when you are as bad as the Bills were last season, the focus really does need to be on getting as many good players as possible. While I will continue to argue that I believe Patrick Peterson was the best overall player in the draft, I believe Marcell Dareus was a perfect defensive pick for the Bills. The Bills run a 3-4 defense and as a pass-rusher, Dareus could easily be converted into a defensive end. I also love the Williams, Sheppard, and Searcy picks. This defense should be much improved this coming season. The biggest questions have to be though, why the Bills did not address their offensive line until day 3 or use a single pick on a wide receiver or tight end. Barnett, while not Posluszny, was as good of a replacement as the Bills were going to find. One of these offseasons, Buffalo is going to have to make a splash if they ever hope to compete with the Jets and Patriots. Losing Paul Posluszny and Donte Whitner was significant. But the Bills re-signed the guy they needed to in Drayton Florence. Nick Barnett is a nice replacement for Posluszny and I could see this being a stout defense that now features the likes of Aaron Williams, Marcell Dareus, Shawne Merriman, Nick Barnett, and Jairus Byrd. I also like the Tyler Thigpen signing as he is a solid back-up quarterback and it was a good move to take Brad Smith away from the rival Jets. Gailey did some wildcat looks in Kansas City with Thigpen and in this offense he could find places for Thigpen and Smith. However, the offensive side of the ball needs plenty of work. The offensive line is non-existent and they traded away a highly underrated receiver in Lee Evans which I believe they will regret. But if this defense can hold teams to 10 points a game, the Bills might just have a shot. Overall the AFC East had a pretty strong offseason. The New England Patriots definitely improved. The Bills and Dolphins should field a better team than last season and the New York Jets look about the same to me. As always this should be a very tough division and I expect great defense across the board from all four teams.